The Haskell County Sheriff’s Office is currently taking applications for the position of PATROL DEPUTY. 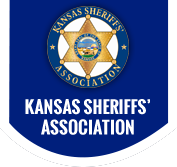 Haskell County is located in Southwest Kansas and provides contract law enforcement to the cities of Sublette and Satanta. Benefits include full family health insurance, KPERS retirement, paid holidays, and paid vacation and sick time accumulated upon employment. All duty equipment is provided by the department. In addition to the Sheriff and Undersheriff, we offer the advancements of 2 sergeant positions, detective, K-9 handler, and 2 SRO positions. Patrol deputies currently work 12.5 hour shifts on a rotating schedule that normally allows for a 3 day weekend every other weekend. Salary: $19.01 per hour for noncertified and $20.01 per hour for certified officers. Pay raises for certified officers will be given up to $21.64 after one year. Non-certified deputies will receive pay raises after successful completion of introductory period and completion of the academy. Minimal Qualifications: 21 years of age, US Citizen, high school diploma or equivalent, ability to obtain valid Kansas driver’s license, and no felony or major misdemeanor convictions. Applicant must be able to live and work in a rural community, pass thorough background investigation, drug screening, medical evaluation, and psychological evaluation. Applications can also be found at www.haskellcounty.org under the employment tab. Haskell County is an equal opportunity employer.